Ayurveda has a unique way of understanding digestion and nutrition. It focuses on your body's reaction to food rather than the nutrients it contains. By focusing on experience rather than content, Ayurveda helps you interpret the medicinal compatibility of food with your body as you taste it, chew it, swallow it, digest it, and eliminate it. Just like a practitioner! Ayurveda does this interpretation using a simple system known as rasya, virya, vipak, which translates to taste, potency, and post digestive effect. Using rasa, virya, vipak, Ayurveda efficiently classifies the medicinal properties of food and shows you how to do it too. Practitioners generally learn about this system in Ayurveda School and then teach it to their clients. Here are the basics. Have you ever developed really dry skin out of the blue and can't figure out why? You may ask, "Is it my diet? Have I eaten anything drying?" Using the rasa, virya, vipak classification system, you can easily identify drying foods based on your experience. With knowledge of this system, you would know how to identify astringent foods that pull moisture from your body. You would experience the astringency directly because they make your tongue feel dry. Examples of astringent foods include beans, cranberries, and potatoes. These foods might worth examining if you have dry skin, to see if they are compatible with you. It might be reasonable to assume, based on your experience, that foods which make your mouth feel dry might also make your skin dry. You can confirm this after eating such foods by noticing your poop is drier or has cracks in it. You feel the effects of Astringency first in your mouth at first, then in your digestive tract, and finally on your skin. Rasa, virya, vipak is an elegant way to connect cause and effect between diet, digestion and your body. This classification system isn't only diagnostic. It also shows you how to rebalance your system more quickly. In the example above, you might assume a food that is moisturizing and soothing like oatmeal would directly counteract dryness in the digestive tract, and in your body. In Ayurveda, the both the negative and positive effects of food are studied, contemplated, and ultimately used strategically for medicinal effect. Ayurveda breaks up your food experiences into 4 parts. The taste of a food is called its rasa. Rasa has several meanings, one of which is 'taste' and another is 'first impression.' If you meet someone new, or travel to a new place, you will get an initial "taste" of the person or place. The same is true with your first impression of food. This part of your food experience is easiest to determine. It's the first thing you notice when you put food into your mouth - the immediate sensations it produces on your tongue. Taste makes food enjoyable or unpleasant. Without taste, it's challenging to make good food choices. Taste is not only in the food, but also in your body's reaction to the food. Your taste buds are constantly changing. Food tastes differently depending on the time of year, imbalance you are having, and what you've eaten recently. The food cravings you have are closely related to this communication between taste buds and the blood. Taste connects food, body, blood chemistry and cravings together. If you are struggling with cravings, the science of rasa can help you. Rasa boils down to knowledge of the 6 tastes in Ayurveda - sweet, sour, salty, pungent, bitter and astringent. Each taste is made up of 2 elements and correlated with numerous experiences (gunas). Some foods have more than one taste. Garlic is an example. It is said to contain all 6 tastes except salty. Celery is both pungent and bitter. Apples are both sweet and sour. The combination of tastes and gunas in a food create its unique effect on the body. This unique effect determines whether that food is compatible to an individual's constitution. If you don't know your constitution, you can take a test to determine it. As a nuance, rasa may also refer to the nutrients in either food or blood plasma. For example, the sweet juice of an apple is its rasa. In the blood, rasa is the proteins, fats, carbohydrates, vitamins and minerals that 'sweeten up' your blood. After you eat it, the rasa of food becomes the rasa of your blood. Once the rasa of the apple reaches your blood, it is no longer a first impression, but a lasting impression. The purpose of taste and food cravings is to build good rasa in the blood. Your taste buds, if they are functioning correctly, are supposed to sense the rasa of the food so your body will know whether it is compatible with the rasa of your blood. Taste helps the body to predict the effect that the food will have and helps you perceive what you are eating. Unfortunately, various imbalances can disturb your taste buds and prevent you from predicting the rasa of a food correctly. If your tongue has a heavy coating, is dried out, or is unhealthy food will not have the proper taste. 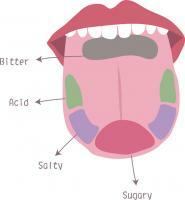 Tastes and their location on the tongue. Artificial sweeteners can also confuse the natural intelligence of your taste buds. Your body tastes the sweetness and expects nourishment from it, but the sweetness is an illusion. The food doesn't provide the effects that the taste promised. As you delve more into Ayurveda, you will soon develop the ability to predict the medicinal effects of food via taste. This is a fascinating and essential first skill to develop to use Ayurveda intuitively and effectively, part of initial training in any Ayurveda School. As you digest it, food has a heating or cooling effect on your entire body know as virya. Virya comes from the same base words as virile, meaning it is the "power" of the food. Food either heats up your metabolism, or cools it down, an effect you can notice if you pay attention. Virya also describes how food affects your digestive fire (agni). Does it rev up your digestion or cool it? Virya especially affects the stomach and small intestine. 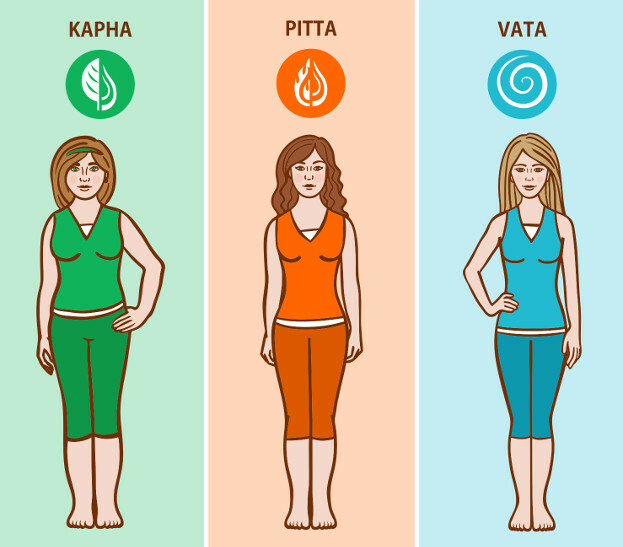 A heating virya serves to balance Kapha and Vata because they are cold but aggravates Pitta because Pitta is hot. A food with heating virya promotes digestion, increases body temperature, enhances blood circulation and energizes you. Cooling virya serves to balance Pitta's heat while aggravating Vata's cold nature and Kapha's sluggish nature. Foods with cooling virya slow down digestion, soothe irritation and inflammation, lower body temperature, and promote growth and weight gain. If the overall virya of your diet is too cold, it can lead to indigestion. If it's too hot, it can lead to hyperactivity and irritation by gastric juices. This cooling or heating effect of food can be easily sensed as you develop self awareness around eating. How does the food make your body feel during first two hours after eating it, particularly in terms of body temperature? Have you broken a sweat? Do you feel more alert and mentally sharp? Do you feel angry and irritable? Do you feel more sluggish mentally than before you ate? Does your pulse rate slow down? Do you feel congestion increasing in your head / sinuses? Do you feel cool, calm and collected? 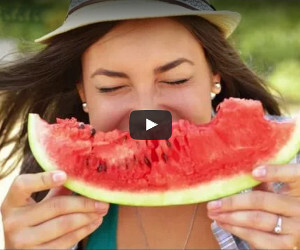 Imagine a sweltering summer day when you are already hot - do you want heating foods? Or a day where you're feeling angry, irritated and about to snap - do you want to add hot sauce to your burrito? Think of a frigid winter day when you're chilled to the bone - is ice cream a good idea? What about a day where have a cold with congestion throughout your sinuses? Is iced water going to help clear that out? You can use this subtle understanding of how food affects you to heal, to prevent illness and even to change a mood. The vipak is the long-term impact of a food. Vipak describes the total post digestive effect of food on your body. It includes the medicinal effects of the food on your body that linger after digestion is complete. Vipak begins with the food's effect on your bowel elimination and your colon but continues beyond the colon. It includes the effect on your urine, feces, sweat, and mind. Vipak also describes how the tissues of your body are nourished by what you eat. Suppose you ate a lot of popcorn for days and then noticed your skin was dry. Or, you indulged in too much salt and retained water for several days after. Or, you've eaten too much oil lately and have noticed your skin is oilier than normal. These lasting after effects are attributed to vipak. It is important to note that each rasa is correlated to certain viryas and vipaks. The effects at each stage are determined by the effects in the previous one - rasa determines virya, and virya determines vipak. The relationship between rasa, virya, & vipak allows you to predict the pharmacological effects of food just by tasting and eating it. Finally, food has a prabhav. Prabhav is the unexplainable effect - sort of like a hidden superpower of a food. Normally, the rasa, virya, and vipak of a food are all related. The prabhav is the exception to this rule and cannot be predicted, but must be learned through experience, testimony, or research. The prabhav of each food makes it valuable for unique conditions. Prabhav can affect specific areas of the body or have a special potency, depending on its special power. For example, ghee is known to reduce fevers but there is no explanation of why it works so well at doing that. Normally, nourishing foods increase fever, hence the adage "Starve a fever, feed a cold." A person with a chronic fever cannot indefinitely starve themselves, however. This unique property of ghee makes becomes very useful for those who are debilitated by chronic fever, but need the nourishment that ghee provides. Ghee's ability to reduce fever is therefore a pleasant and very valuable surprise clinically. Cilantro is another example. It's a great digestive. However, unlike most digestives which are hot, cilantro is cooling. This cooling effect makes cilantro very useful for indigestion due to inflammation. Or, take the example of honey. While most sweeteners are cold in nature and cause weight gain, honey is heating and improves fat metabolism. This prabhav makes honey an ideal sweetener for Kapha in moderation. Mung dal, used in kitchari, has all the fiber of a legume but is uniquely easy to digest. The list goes on. Every food has numerous prabhavs, waiting to be discovered. Herbs also have a prabhav. Shatavari, for example, is a nourishing antimicrobial. 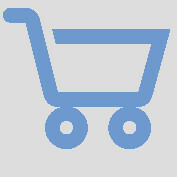 Most antimicrobial herbs are depleting. This makes shatavari useful for weak or underweight individuals suffering from a gut bug. 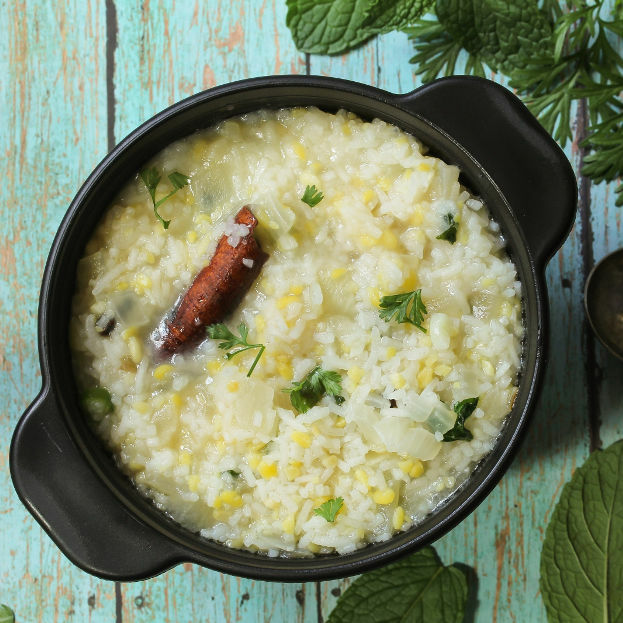 Rasa, virya, and vipak help you predict the therapeutic qualities of food, while prabhav reveals special qualities about a food or herb for unique clinical situations. But how can you use this information in a practical way? Let's consider a common scenario: Suzy has a heat condition characterized by rashes. Upon questioning we find she has an imbalance in gut bacteria and irritation of the gut. What rasa, virya, vipak, and prabhav would be useful for her? First, she'll need foods with a cooling virya to calm the hot rash and irritation in her gut. Foods with sweet, bitter and astringent rasa are known for their cooling properties. Potatoes are both sweet and astringent, ideal for cooling. Kale is a suitable bitter. 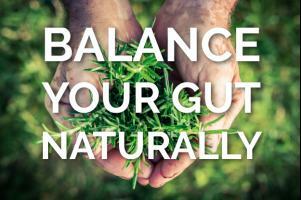 Overgrowth of bacteria in the gut is a sign of weak digestion. Therefore, the client will also need a digestive. Cilantro is the perfect choice because it has a cooling prabhav. Ayurveda suggests that a potato & kale soup garnished with cilantro would be ideal for this client. This is just one example of how Ayurveda uses rasa, virya, vipak and prabhav. Its simple elegance yet profound depth makes these principles a cornerstone of your Ayurvedic education and Ayurveda's clinical approach in general, used daily by practitioners and clients alike. Questions, Comments & Impressions of 'how to understand food like an ayurvedic counselor: rasa, virya & vipak'? Is there something you'd like to know about 'how to understand food like an ayurvedic counselor: rasa, virya & vipak'? I love the useful details yet simple breakdown of its practical applications for day to day. Thanks.